It's hard to take a day off sick when you're entirely your own boss, but still, after the excitement of visitors at the weekend my system was ready for a breakdown, and so I'm resting up for a few days. Luckily for me the weather has become mild and mellow and yesterday we had brilliant sunshine which brought out the late butterflies. I did a survey. 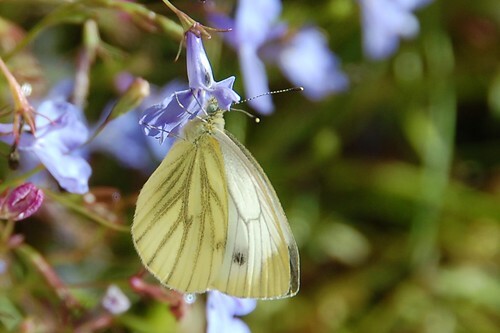 There were lots of Green veined White butterflies about. There may have been some other small whites about but I wasn't close enough to identify them for certain. The Green veined were some of the earliest here this year and now they're some of the last. Not a butterfly but it might just as well be. 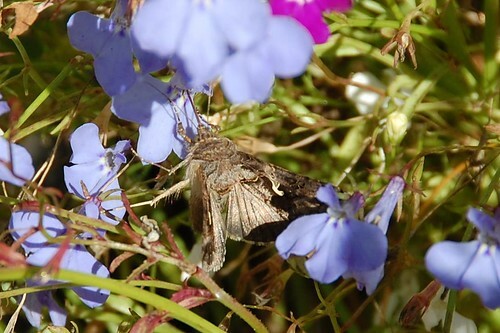 We've had Silver Y moths all summer, they fly by day and rarely stop so are difficult to photograph. 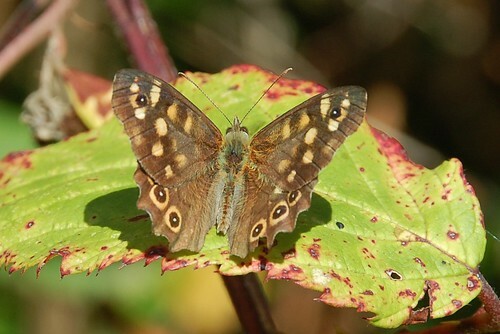 The Speckled wood butterflies are remarkably pretty and we seem to have a very brightly coloured strain living here with far more patches of orange similar to Pararge aegeria ssp. insula which are found on the Isles of Scilly. 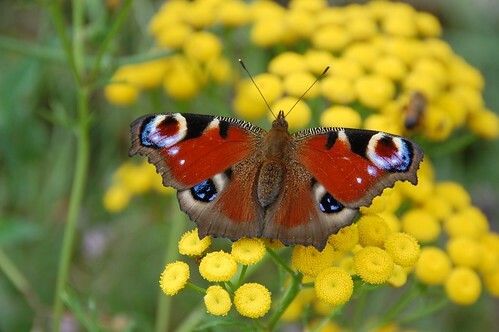 I've done no study on it but it seems to me that the autumn flying insects are also brighter than the spring ones. 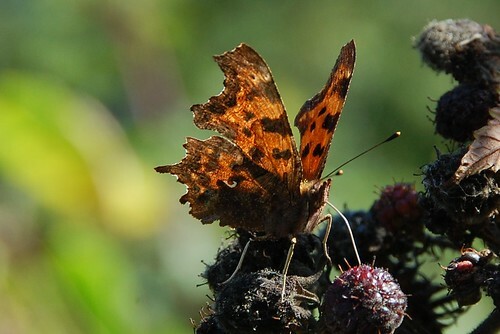 Not as many Comma butterflies as other years but there are still a few and this grizzled old chap stopped long enough for me to snap his portrait. There was also a Peacock buttefly but it landed on my leg and I couldn't get the photo before it flew away in horror so here's a picture of one posing for me last year.